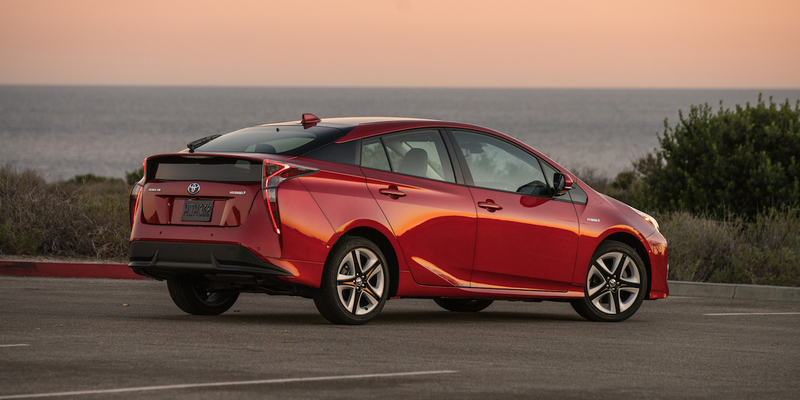 The Toyota Prius is the perennial fuel-economy champ among mainstream passenger cars, and it delivers those standout numbers while maintaining high levels of day-to-day practicality, driving ease, and all-around comfort. 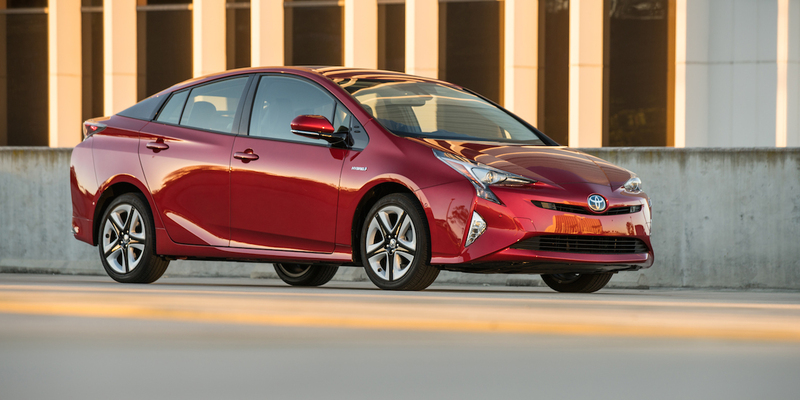 The radical styling is polarizing to say the least, and despite a slightly sportier feel than the previous-generation Prius, the current model isn’t particularly engaging to drive. A plug-in hybrid model called Prius Prime—with an 8.8 kWh battery pack and an estimated all-electric range of up to 25 miles—debuted for 2017. 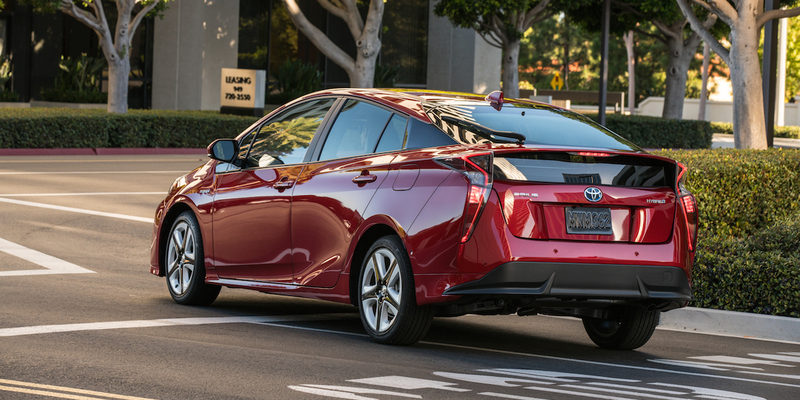 The Prius is Toyota’s best-selling gas-electric hybrid car. 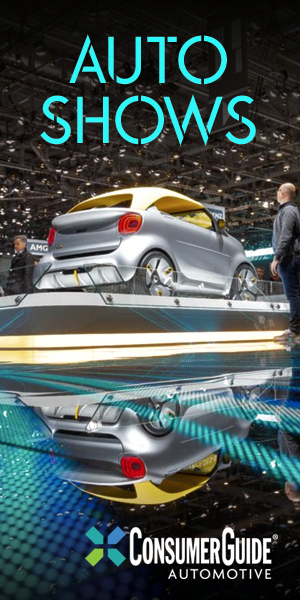 It was redesigned for 2016 with a radical new look and slightly sportier pretensions, as well as even better fuel economy and a fresh batch of new technology and safety features. The model lineup ascends through One, Two, Two Eco, Three, Three Touring, Four, and Four Touring trim levels. 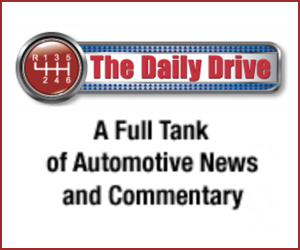 A combined-system 121 horsepower is produced by the Prius’s 1.8-liter four-cylinder gasoline engine and electric motor, channeled through a continuously variable transmission (CVT). Driver-selectable Normal, EV, Eco, or Power modes alter powertrain and climate-control settings to favor performance or economy. Standard features include an Entune audio system with voice recognition, Bluetooth connectivity, Siri Eyes Free functionality, and a 4.2-inch color instrument-cluster display. Available features include rain-sensing wipers, Qi-compatible wireless device charging, power sunroof, head-up display, heated front seats, blind-spot monitor, and rear-obstacle detection. 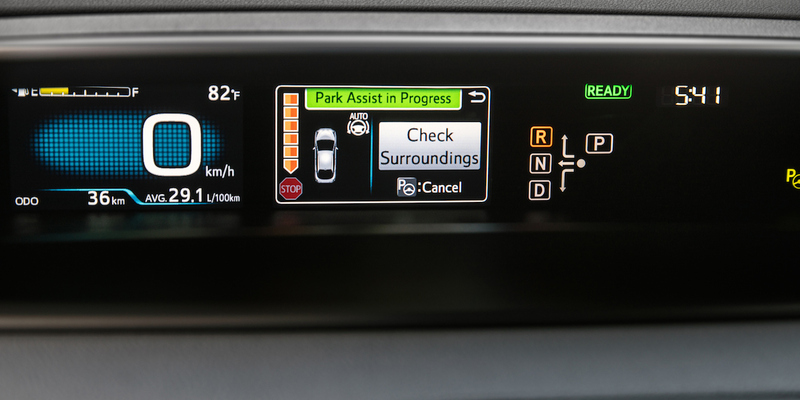 The Toyota Safety Sense suite of features—which includes forward collision warning and mitigation with pedestrian detection, lane-departure warning with lane-keep assist, automatic high-beam headlights, and adaptive cruise control—is standard on all models. Official information on the 2018 Toyota Prius was unavailable as of this writing, but we are not expecting any major changes. EPA information on the 2018 Prius was unavailable as of this writing, but we are not expecting the numbers to change much, if at all. For 2017, the bulk of the Toyota Prius lineup was EPA-rated at an impressive 54 mpg city/50 highway. The Prius Two Eco model did even better at 58 city/53 highway, thanks to additional fuel-economy measures such as extra-low-rolling-resistance tires, a lightweight inflator kit in place of a spare tire, a lighter-weight lithium-ion battery, and deletion of the rear-window wiper. In Consumer Guide® testing, a Prius Three averaged 47.5 mpg in a cold-weather winter test that consisted of 65-percent city driving, while a Prius Four Touring averaged 52.6 mpg in 65-percent city driving in moderate temps. 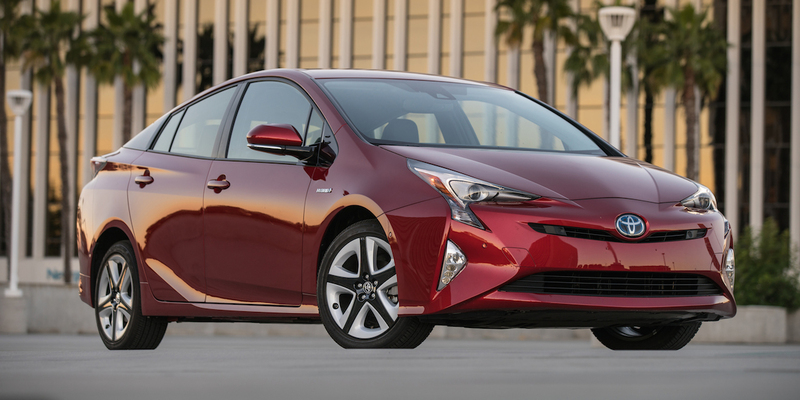 A Prius Two Eco averaged an incredible 68.3 mpg in 60-percent city driving, handily beating the EPA estimate. The remarkable thing about the Toyota Prius is how little it asks in return for its stellar fuel economy numbers. 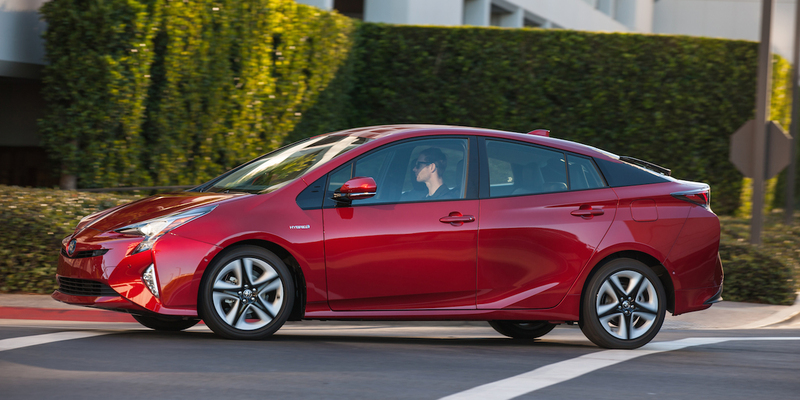 The gas/electric powertrain is smooth enough that most drivers will forget they’re driving a hybrid, and the basic passenger/cargo layout gives up nothing to a typical compact sedan … in fact, the Prius’s rear hatch makes it a bit more versatile. 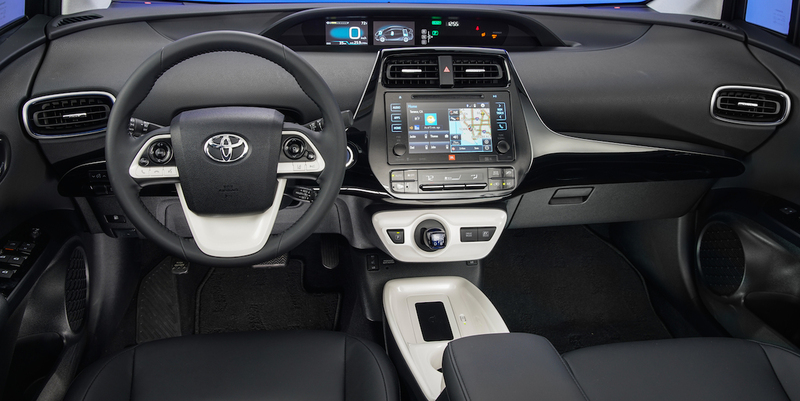 The Prius is not without its shortcomings—some of the interior plastic looks and feels cheap, back-seat space is a bit cramped for large adults, and the outlandish interior and exterior styling is too much for some shoppers. 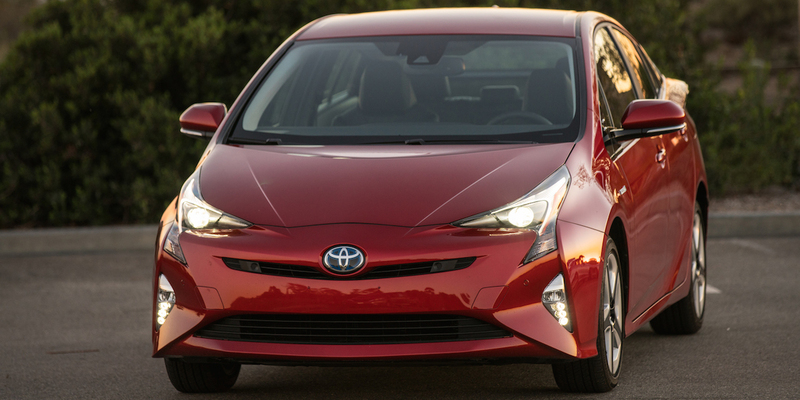 Still, the Prius is simply a fine car—a fine car capable of easily breaking 50 mpg.